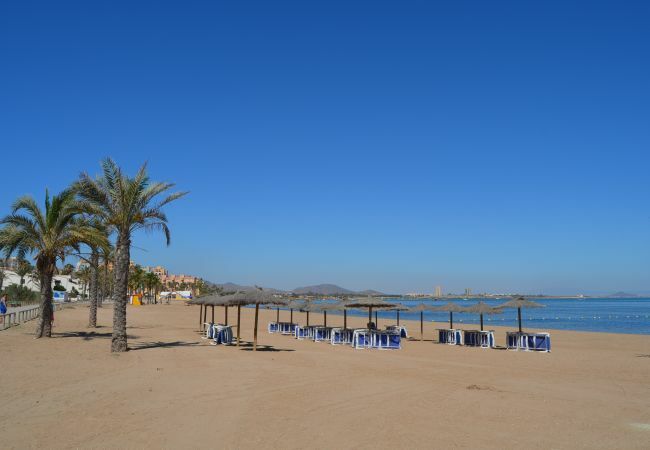 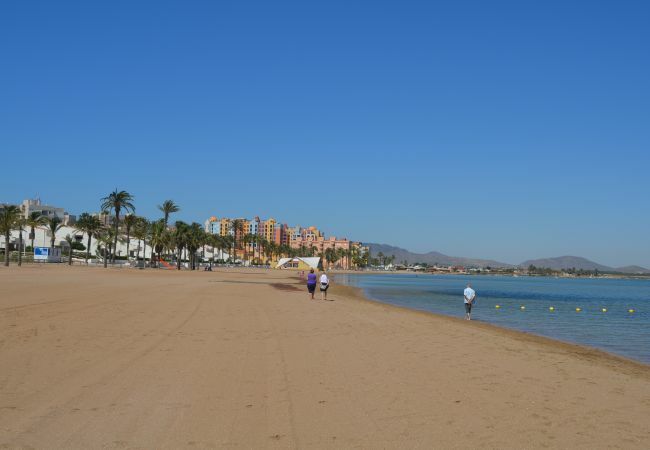 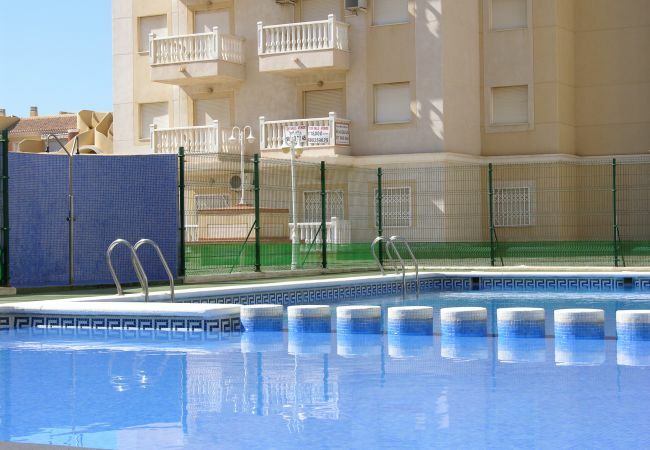 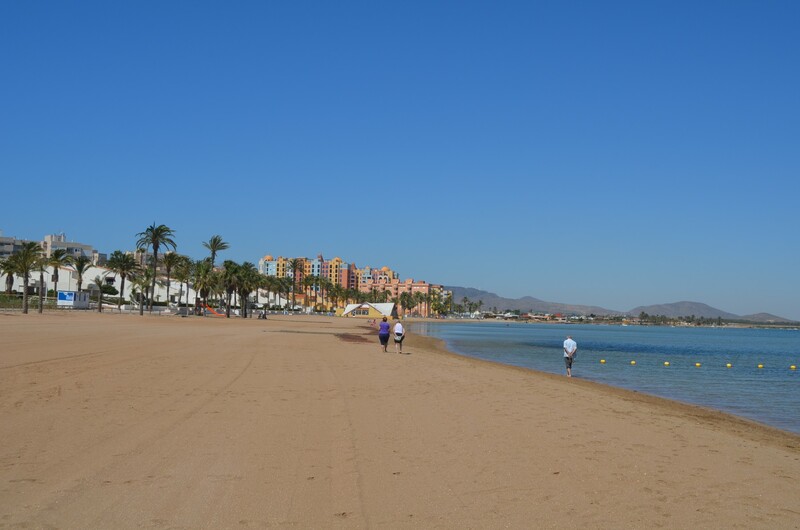 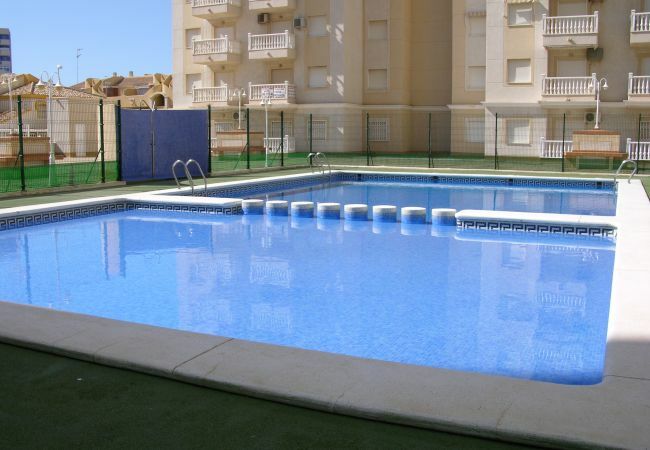 The apartment has a balcony with views of the sea and beaches of the Mar Menor and towards La Manga strip. 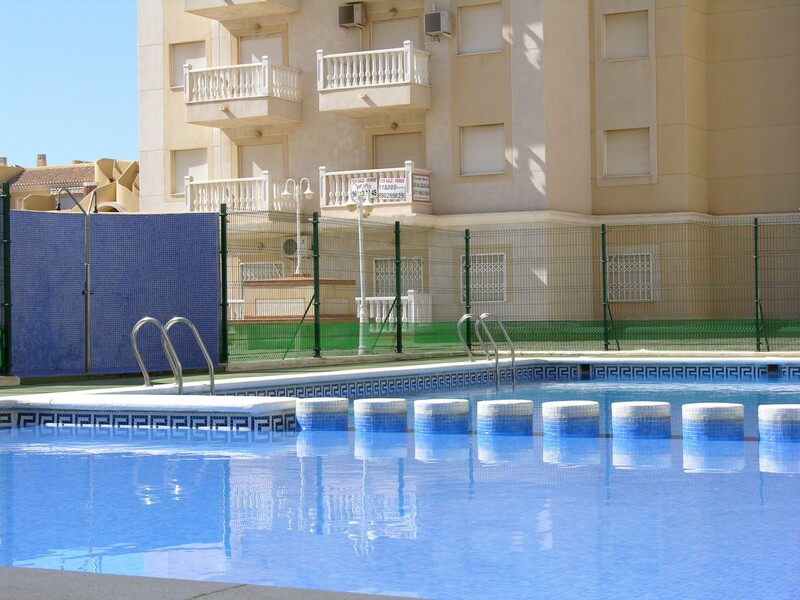 The complex of Villa Cristal has two pools open during the summer months one normal size pool and the other is for children. 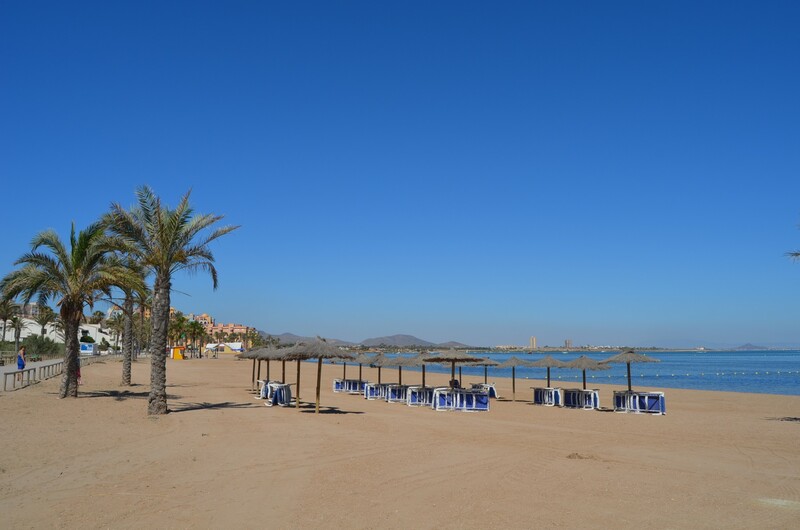 The beach is just a stones throw away and has beach bars and snacks during the summer months. 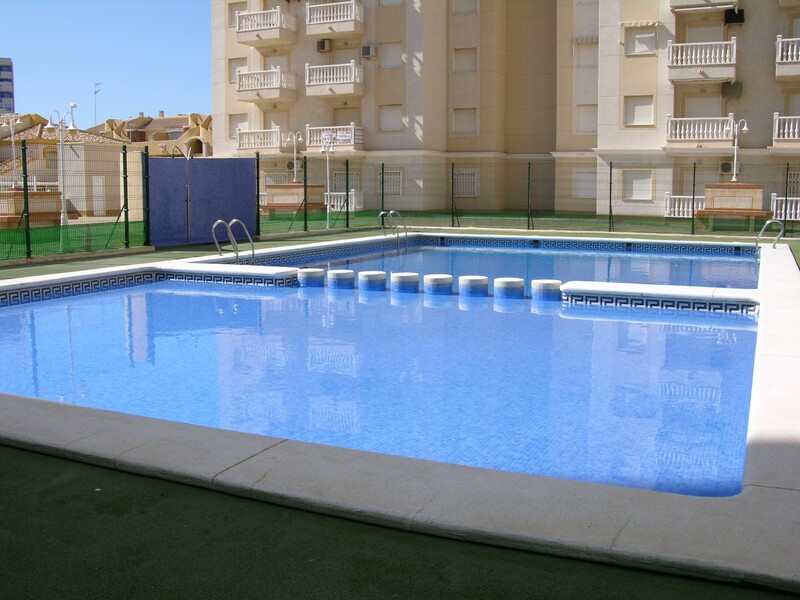 - 1 TV, Stereo, DVD, 5rd floor, lift, iron, internet (Wi-Fi), hair dryer, balcony, 60 m² property, pet-friendly (Dangerous breed dogs not allowed), central heating, air conditioning in the living room, communal+children's swimming pool.